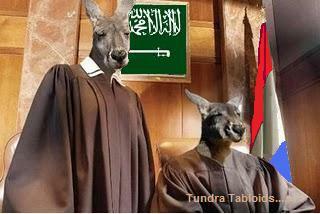 How Do You Say “Kangaroo Court” in Dutch? We’ve covered this outspoken critic of islam before but at the moment, things not going that well for our side. Seems the very PC Dutch ar quite happy to gag one of their own ELECTED politicians and give their country away to the islamists. If that’s really the case, what the heck did they fight the Germans for? Nothing I have read on the subject and I confess I haven’t read everything, indicates that the Dutch are very happy with events there. Unfortunately for them, their country is in the hands of the left. They are concerned about immigration and they are worried about militant islam. In fact, many are just plain bothered about islam period, militant or not. Some have “quietly” said it has no place in their culture. I think the Dutch who said that have already moved out. So anyway ... Geert Wilders is on trial. More like the Inquisition minus the burning then a trial. But you guys MUST read this to get a feel for how scary this actually is. Especially from muslim authorities. The Amsterdam District Court apparently doesn’t want to hear the truth about Islam. Nor is it interested to hear the opinion of top class legal experts in the field of freedom of expression. In one swift move, the Court brushed aside fifteen of the eighteen expert-witnesses the defence had requested to be summoned. Only Hans Jansen, Simon Admiraal and Wafa Sultan were allowed to be heard as expert-witnesses. Their testimony will be heard in a session behind closed doors. Apparently the truth about Islam must remain a secret. Geert Wilders: “This Court is not interested in the truth. This Court doesn’t want me to have a fair trial. I can’t have any respect for this. This Court would not be out of place in a dictatorship”. The Court also brushed aside the preliminary objections concerning its jurisdiction and the admissibility of the Public Prosecutor. Nevertheless, Geert Wilders remains extremely motivated to seek justice: “I’m still counting on an acquittal”. THERE IS THIS FROM THE GATES OF VIENNA BLOG AND I ENCOURAGE ALL WHO HAVEN’T READ IT TO GO OVER THERE AND DO SO. It isn’t a short read. 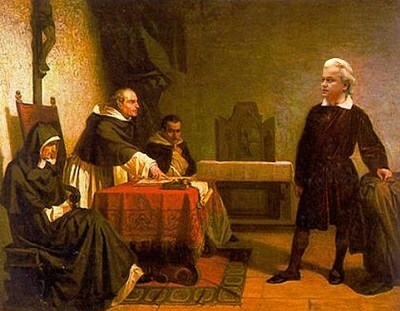 It’s obvious that the Dutch government wants Geert Wilders out of the way, and doesn’t much care how it happens. In bygone days the Queen might have murmured to herself, “Who will rid me of this troublesome blond?” And then, to please his monarch, some eager courtier would have dispatched Mr. Wilders to meet his maker. But today’s tactics have to be different. First the government demonizes the head of the PVV, eroding his official legitimacy and making it seem as if he almost deserves a violent end. Then it puts him on trial on trumped-up charges, and declines to provide the same courtroom security for a member of parliament that it gives to Islamic terrorists. I HAVE CRAMMED QUITE A BIT IN HERE BUT HAVE EDITED A LOT SO PLEASE GO TO THE LINK FOR MORE. H/T Europe News for the following and see her site. This really does get bad and scary. Even if you have never been involved in a criminal prosecution wherein your very freedom is at risk, I want you to now imagine that you and your attorney have prepared a defense that includes a list of witnesses that will provide a mountain of exculpatory evidence. Then, imagine that the Court summarily and arbitrarily decides that it will not listen to nearly ninety percent of your case. “I have no respect for this,” Wilders added. He pointed out that in a typical criminal case there are often dozens of witnesses heard. But this is not a typical trial. This is a rigged game, a fixed fight, a show trial that is premised not on Dutch law but on Islamic law. Indeed, the trial of Geert Wilders is a test case for sharia in the Netherlands, the grafting onto a free Western country the repressive cage of Islamic rule. In confronting the Danish cartoons and the Dutch film “Fitna”, we sent a clear message to the West regarding the red lines that should not be crossed. As we speak, the official West and its public opinion are all now well-aware of the sensitivities of these issues. They have also started to look seriously into the question of freedom of expression from the perspective of its inherent responsibility, which should not be overlooked. One reading doesn’t convey the chilling import of these words. As we speak, the official West and its public opinion are all now well-aware of the sensitivities of these issues. They have also started to look seriously into the question of freedom of expression from the perspective of its inherent responsibility, which should not be overlooked. When the OIC speaks about “freedom of expression,” it means freedom of expression as governed by the laws of Islam — sharia. When the OIC says we in the West have “started to look seriously into the question of freedom of expression from the perspective of its inherent responsibility,” it means we in the West have started to regard expression from the perspective of sharia — from the perspective of the totalitarian Islamic system. So here’s some unwashed creep with a name nobody outside his own country can pronounce ( Ekmeleddin Ihsanoglu), and he’s telling the west how things are gonna be. And so far, a lot in the west seems to be caving in.